Dolbadarn Castle was literally the first outing I ever went on with my university. 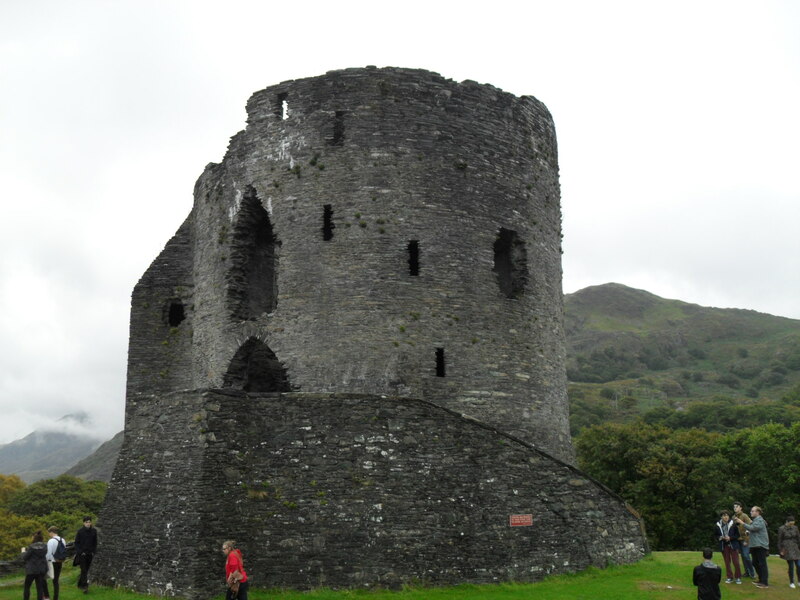 It was freshers week in late September and my history department had decided to take all of us new history students on a tour of some Gwynedd’s great historical sites, top of the list was Dolbadarn Castle. Honestly I wasn’t particularly looking forward to the trip, my classmates were all strangers to me and the sky was filled with rain laden clouds that threatened to burst at any moment; this was my first time away from home and I was more than a little apprehensive about university in general. Our bus took us straight into the little mountain town of Llanberis (pronounced Clanberis, two Ll’s in Welsh make a cl sound, at least I learned something at university). Though the site is free I fear parking is not, so be prepared to fork out a couple of pounds for a parking space if you ever intend to visit. 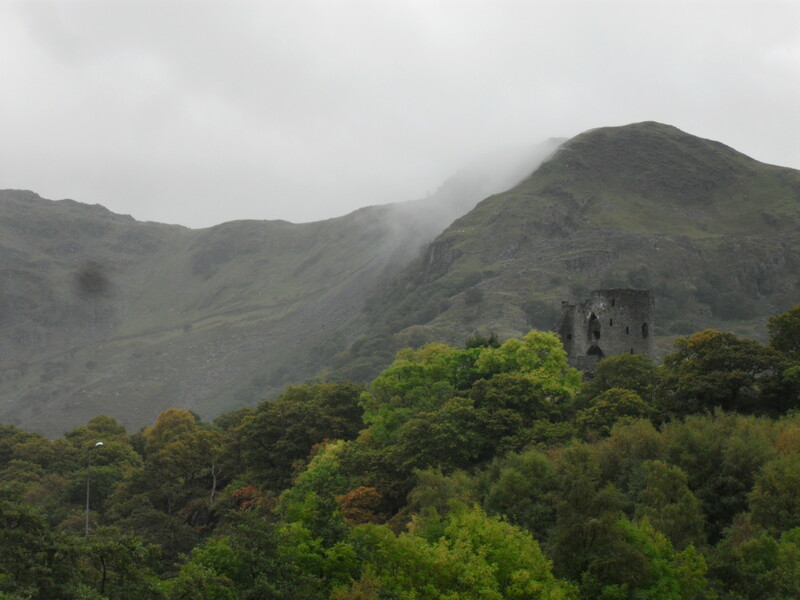 We parked at the nearby Slate Museum and walked over a few fields to the foot of the castle, though there is ample parking much closer to the castle, but it was on this walk that I first caught a glimpse of Dolbadarn Castle; stark against a grey cloudy backdrop. It quickly caught my imagination, in the Victorian era the castle became a famous site for romance artists such as Turner, and I can see why such a great artist would find this particular castle so inspiring. It sits not only in-between the Moel Ellio hills and the towering mass of Elidir Fawr, but it also situated between two lakes, Llyn Padarn and Llyn Peris. Too the south is a clear view to the sea and green fields, while to the north looms the dark mountains of Snowdonia. Among all this natural beauty, only Dolbadarn remains, alone and forlorn. To reach the site requires a short walk through woodland before you emerge at a clearing where the keep stands (word of advice the land is cleared by grazing sheep so the area is covered in sheep poo, so I wouldn’t advise wearing your best shoes). Built by Llywelyn the Great, who you may remember also built Dolwyddelan Castle which I visited in an early blog post here. Like any good ruler of the time Llywelyn sought to impose his political and militaristic control over North Wales, as well as cement his status as King of Wales. 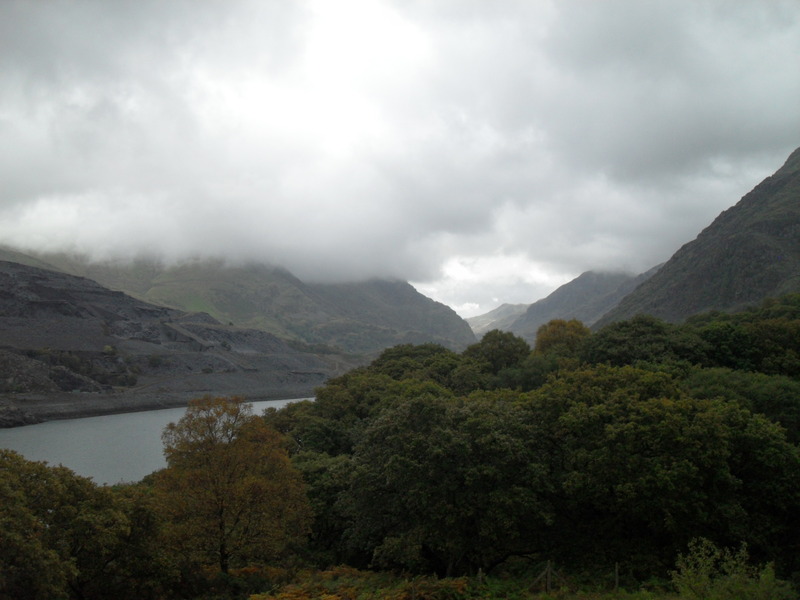 However Dolbadarn also allowed Llywelyn to control passage through the Llanberis Pass, an important land trade route. After Llywelyn’s death his grandson Llywelyn ap Gruffudd took power in 1255 and imprisoned his brother Owain within Dolbadarn. Around this time the castle became to function more as a royal palace, very similar to the Tower of London. 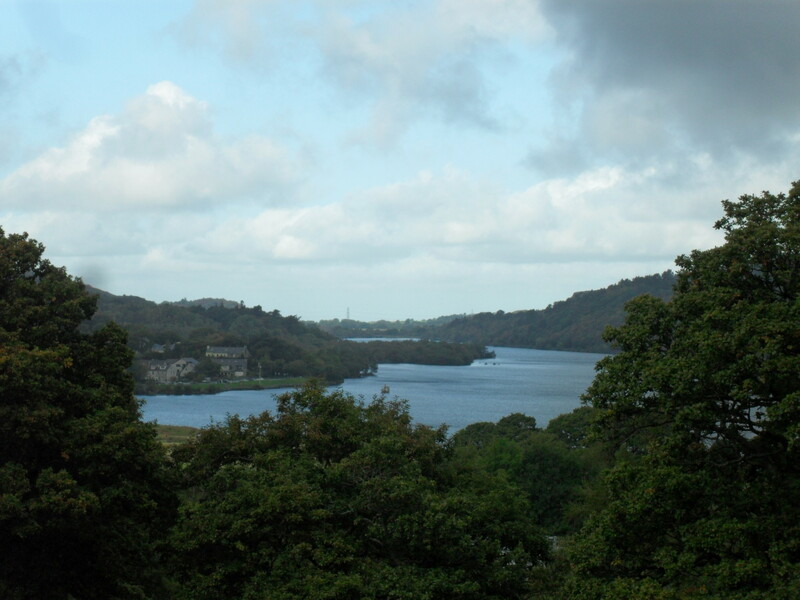 However by 1283 Llywelyn had been killed in battle and English forces were fast encroaching on Snowdonia, Llywelyn’s brother Dafydd made Dolbadarn the base of his government, but it was not too last. Dafydd was captured and Dolbadarn fell to English forces in the same year. Afterwards parts of the castle were torn down and sent to the construction site of Edward I’s new castle at Caernarfon, a practical and symbolic act, demonstrating the supremacy of the new Norman rulers over the old Welsh Princes. 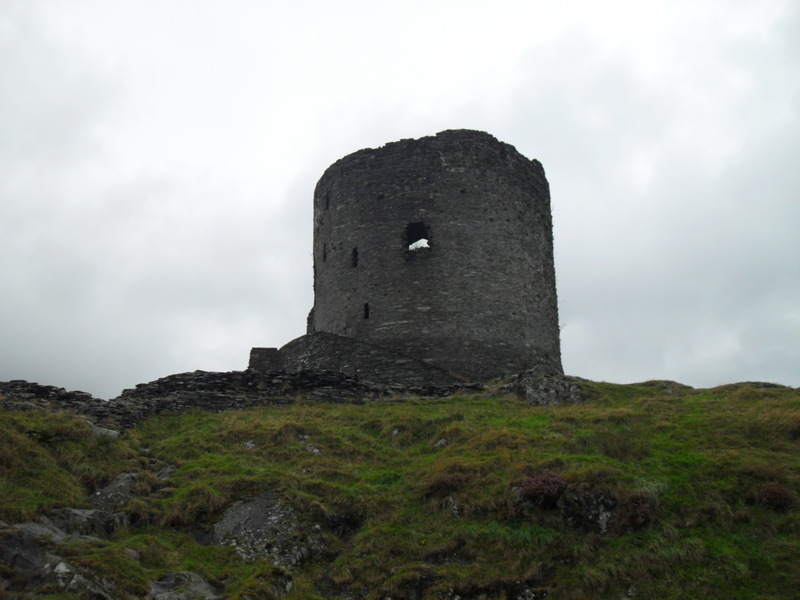 Today the castle is mostly a ruin, its circular keep being the only building of any significant height remaining. Nevertheless it is still worth a hour’s look, the scenery is stunning even on a cloudy day and you can go right inside the hollowed out keep. By the time we had finished exploring the site and hearing its history, I had started to talk to people who would eventually become fast friends of mine at university. In addition the sun began to emerge through the clouds and the two lakes became to sparkle, perhaps this was a sign that university was not going to be as bad as I’d had initially feared.